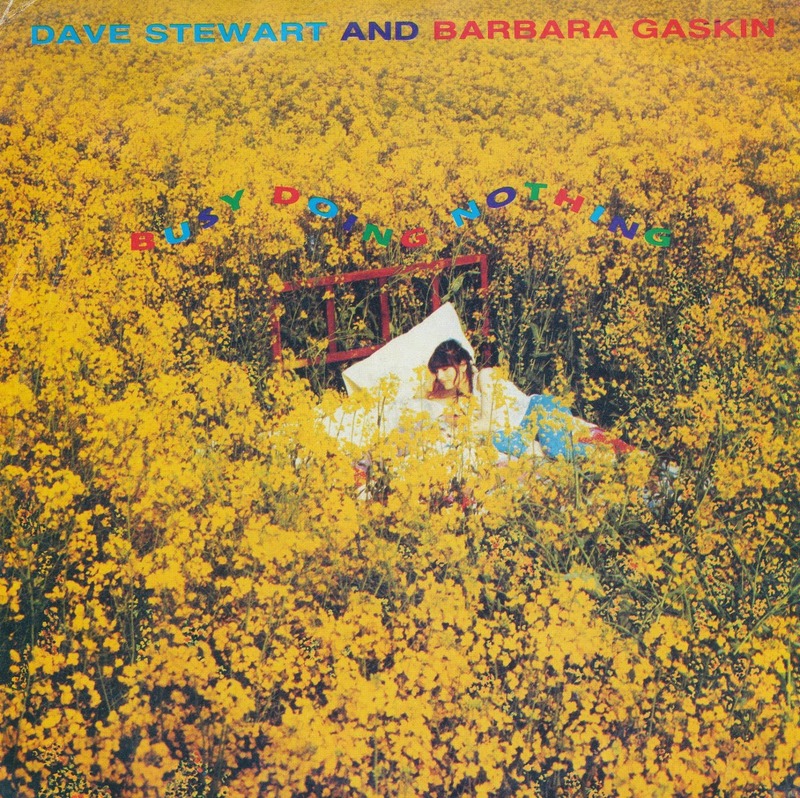 'Busy doing nothing' was released in 1983 as the fourth single by Dave Stewart and Barbara Gaskin. It was quite a whimsical song, originally written by Jimmy Van Heusen and Johnny Burke, and recorded by Bing Crosby in 1949. Throughout his forty year career, Van Heusen received 10 Oscar Nominations for Best Song in a Motion Picture, 4 Academy Awards for Best Song in a Motion Picture, 1 Emmy Award for Best Musical Contribution and 6 Golden Laurel Nominations for Best Music in a Motion Picture. He died on February 7, 1990, just under two weeks after his 77th birthday. 'Johnny Rocco' was written by Les Vandyke in the late Fifties and recorded by several rock and roll acts, including Marty Wilde. Dave Stewart and Barbara Gaskin recorded their version in 1982 as a track on their album 'Disappear'. When released as a single, it didn't manage a chart placing. 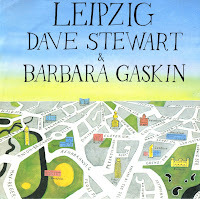 'Leipzig' was originally recorded by Thomas Dolby. 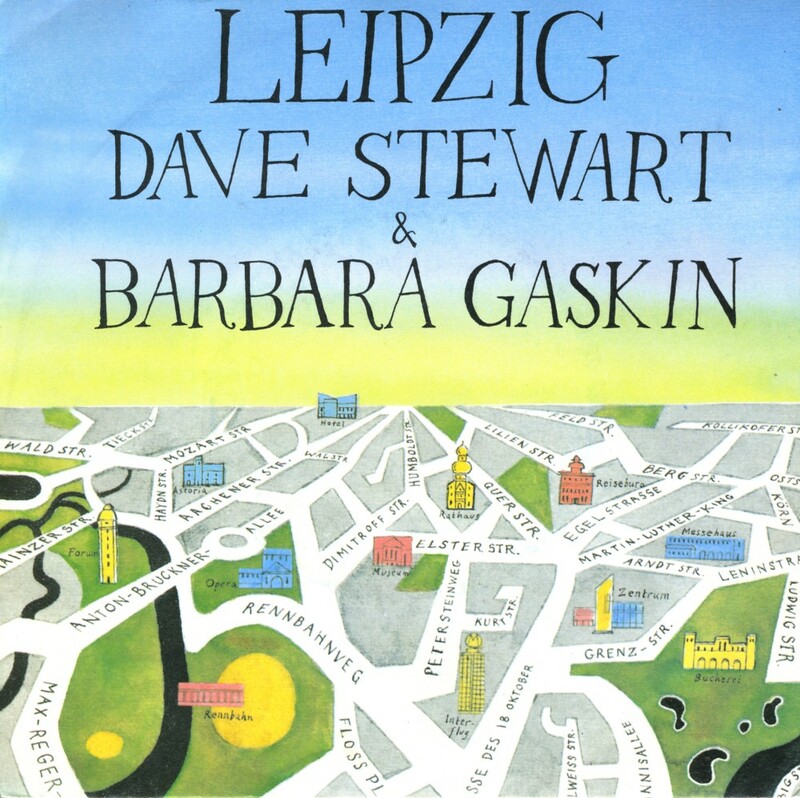 Originally appearing as a B-side to an early Dolby single produced by Andy Partridge, 'Leipzig' - according to Stewart and Gaskin - sounded like a great song in embryo. The backing was minimal, the overall mood dark and introspective. 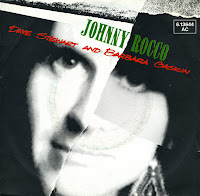 Dave & Barbara's version of the song is, by contrast, expansive and technicoloured, with a big, rolling beat, embellished with electronic percussion, keyboards, and cartoony sound effects. 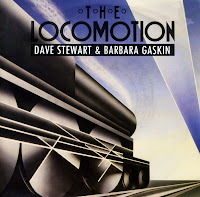 So I've got the 7" single of 'The locomotion' by Stewart and Gaskin, a synthpop version of the 1962 song by Little Eva. I didn't know there was actually also a 12" single with two remixes of that track. What's more, the B-side is also included in an extended version! Naturally, I had to have it. So when I saw it in the shop yesterday for the first time ever, I bought it immediately. 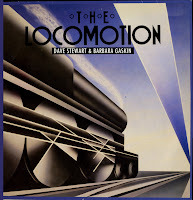 'The loco-motion' was written by Gerry Goffin and Carole King in 1962. The original recording of the song was sung by Eva Boyd, under the stage name Little Eva, which reached number 1 in the US Billboard Hot 100 in 1962. Dave Stewart and Barbara Gaskin recorded their version of the song in 1986. It became the duo's last hit, reaching the number 70 spot in the UK singles chart. A subsequent cover version by Kylie Minogue was more successful, reaching number 2 in the UK. Artistically, this is the more interesting version. 'It's my party' was originally recorded in 1963 by Lesley Gore. She recorded the song at the age of sixteen. It peaked at number 9 in the UK Singles chart. 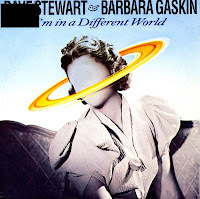 After the success of 'What becomes of the broken hearted', which Dave Stewart recorded with Colin Blunstone, he recruited Barbara Gaskin to sing in his cover version of 'It's my party'. The single became a number one hit in the UK and Germany. Stewart and Gaskin continued to work together, but they never equalled this level of success. Dave Stewart and Barbara Gaskin made a career out of covering old soul songs. 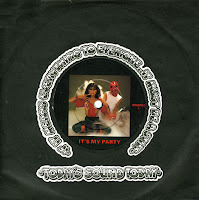 Starting out with the German number one hit 'It's my party' in 1981, they also recorded covers of songs like 'The Locomotion', 'Johnny Rocco' and this 'I'm in a different world'. It was written by the Motown songwriting team of Holland/Dozier/Holland and it was a hit for the Four Tops in November 1968, reaching number 27 in the UK singles chart. This cover version didn't reach that chart, but it was a minor hit in the Netherlands, only just missing the Dutch Top 40.